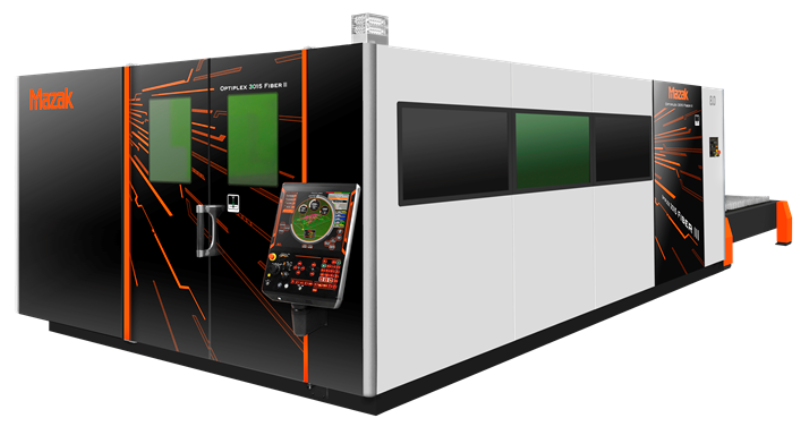 The OPTIPLEX 4020 Fiber III is a 2D flying optics laser-cutting system that utilizes an innovative control and drive package to deliver high performance for fabrication job shops and production environments. The OPTIPLEX Fiber III is available as a 2.0kW, 4.0kW, 6.0kW, 8.0kW and now 10kW. The OPTIPLEX Fiber III utilizes a new drive system provides higher productivity through high-speed and high-accuracy. The new cutting-edge PreviewG Control offers state of the art CPU for unsurpassed operations speed, high-response and high-speed machine motion. The PreviewG Control is a large 19" LCD touch screen which operates similar to a smart phone or tablet for increased ease of operation. Designed to integrate Intelligent Setup and Monitoring Functions, the OPTIPLEX 4020 Fiber III delivers features normally available only on the highest technology machines. These features simplify operation and reduce operator dependency. The OPTIPLEX 4020 Fiber III has been engineered to be utilized with Mazak’s extensive range of automated material handling systems. OPTIPLEX 4020 Fiber III is equipped with sensors in the Multi-Function Torch that monitor piercing and cutting operations to improve throughput and part quality. 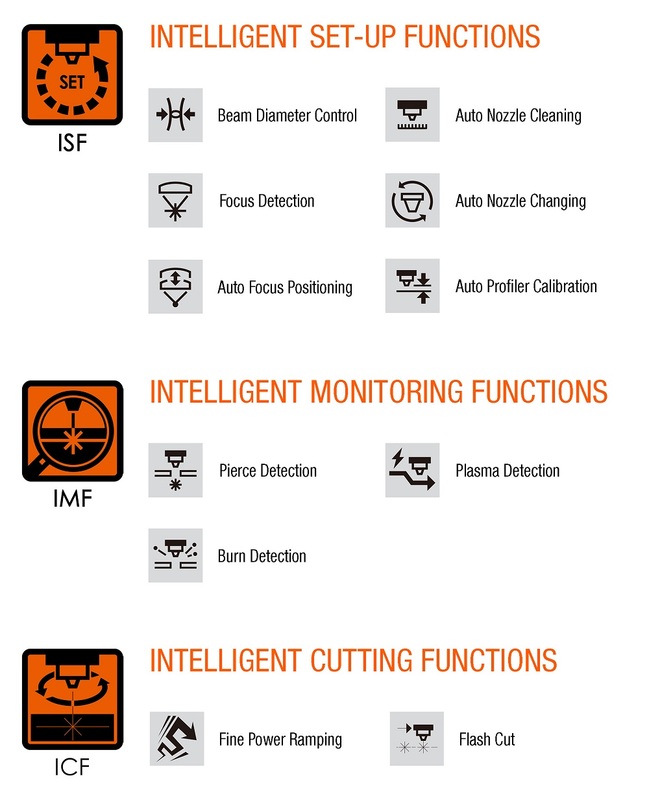 If an anomaly is detected, the operation is adjusted or paused to automatically achieve effective cutting conditions.